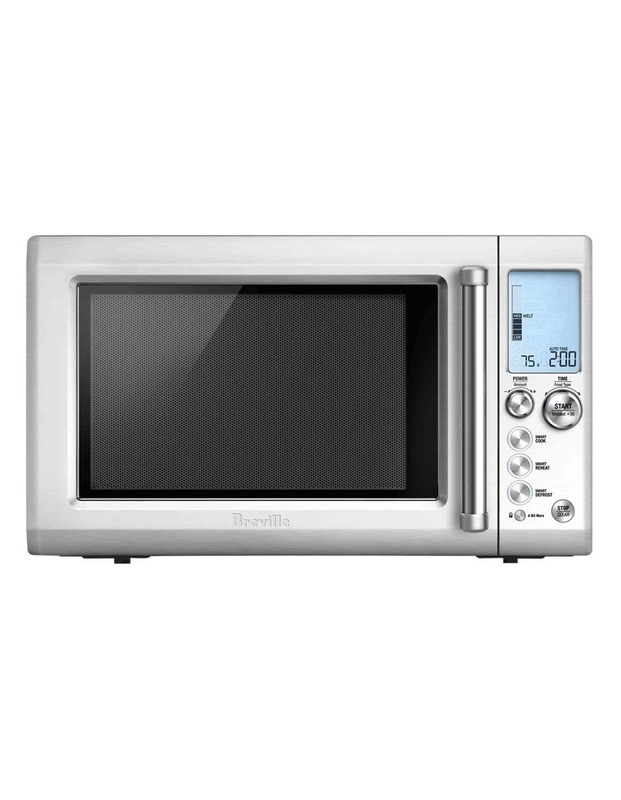 The easy to use microwave that knows the right power level and time to suit the food that you're cooking. With a simple press of a Smart button, the Quick Touch microwave offers a selection of the most commonly used food types in cook, reheat and defrost modes. Time and power levels are automatically determined for optimum results. The shortcuts panel on the inside door makes the microwave very easy to use. Sensor IQ Cook and Reheat, automatically measures humidity released from food and calculates the cook time. 30 second instant start and A Bit More add further simplicity to the ease of use.